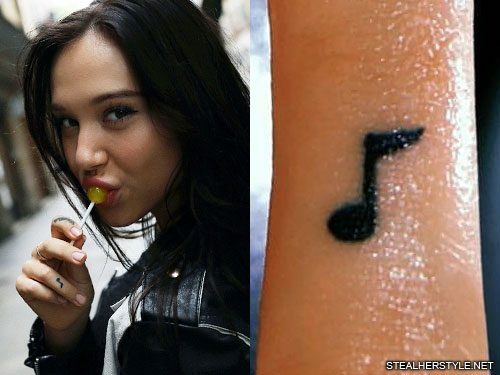 Alexis Ren got this little tattoo of a music note on her ring finger in March 2018. 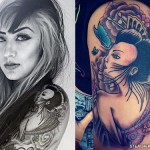 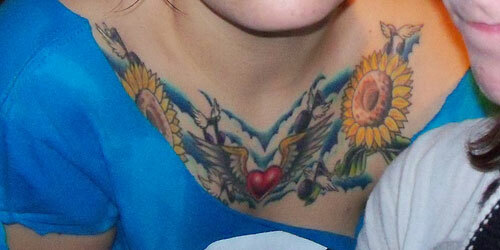 It was one of three tattoos that she got in one sitting with artist Romeo Lacoste. 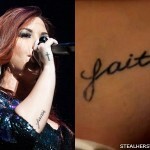 “I go from not wanting anymore tattoos to getting 3 in 1 night,” she tweeted. 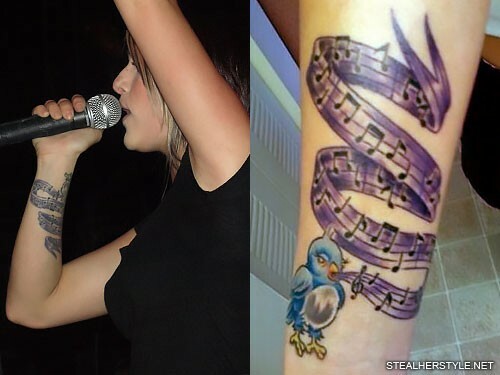 “My music is my diary. 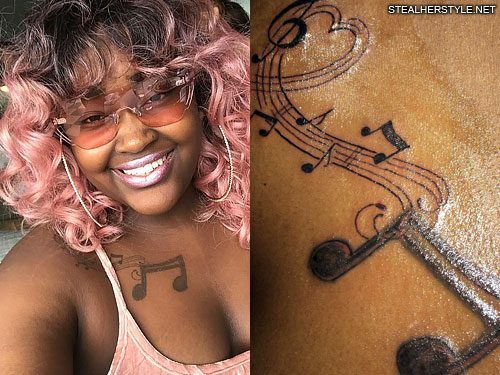 My music taste changes to how I grow,” she said in a video. 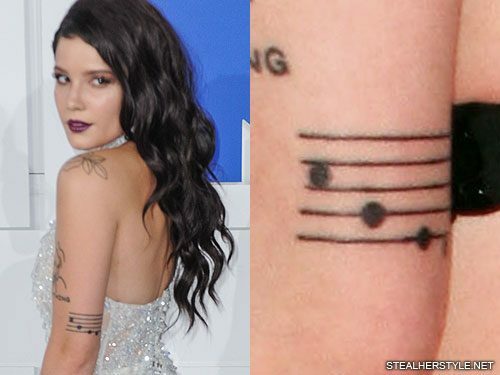 Halsey has a sheet music tattoo on the back of her left upper arm. 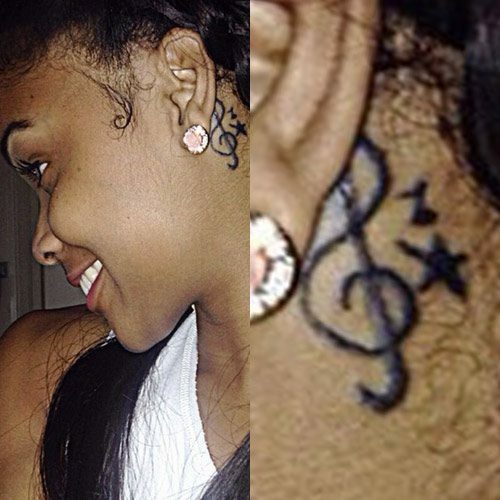 The four whole notes aren’t random — they are the identifier of producer Lido. 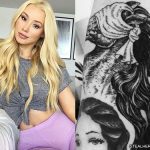 They can be heard as a signature in songs that he has produced, including some of Halsey’s own music. 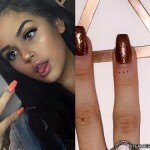 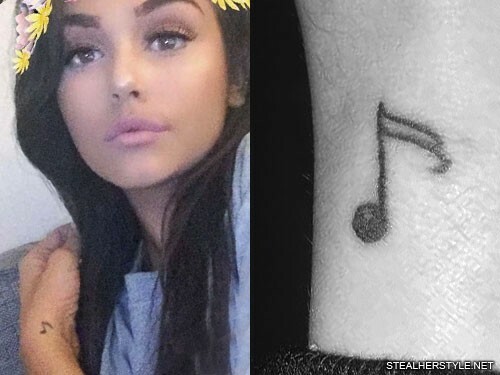 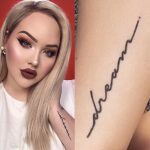 Maggie Lindemann got this music note tattoo on her left wrist on May 29th 2016, at the same time as the initials “CCH” for her deceased boyfriend Cameron Hudson. 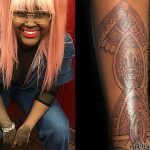 Maggie first garnered attention for posting videos of herself singing on Keek and she has been using her social media fame to launch a career as singer-songwriter.